Not sure how this will work on a farm but we might be willing to try haha! Happy Friday! Thanks for finally writing about >New Farm Policy? You crack me up. Keep up the good work! Thanks Rob! I’m glad you’re enjoying my blog!! While this slide takes it WAY over the top and is quite comical, I do believe that lack of sleep for farmers is a big issue that everyone kind of sweeps under the rug. I totally understand that when there is work to be done, it MUST be done and that sleep becomes not a priority during the high times of farming. But it is simply not healthy and potentially dangerous to be operating on few hours of sleep for days on end. Not saying that it hasn’t been done for years, it is totally something I worry about as our farm is 20 miles from our house and requires him to commute back and forth during harvest/planting/etc. 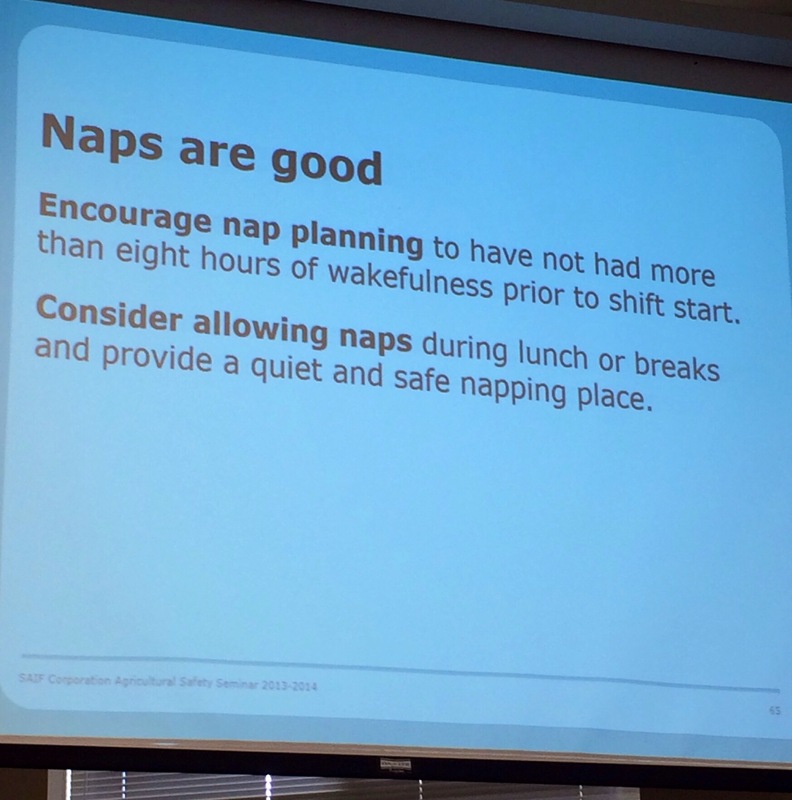 While I don’t believe that ENFORCING a nap time for farmers is the way to go, I think it’s an issue that many farmers don’t take seriously enough. There has got to be some happy medium where you aren’t compromising your life due to lack of sleep all while still “making hay while the sun shines”. 😉 Thanks for the giggle today!